Start-stop technology makes driving more economical and environmentally friendly. Because of this, by 2020 one in three cars on our roads will be equipped with this technology. For example, if a car stops at traffic lights, the start-stop system switches off the engine. As soon as the clutch pedal is pressed again, or the brake is released in the case of an automatic transmission, the engine starts again immediately. In addition to frequent engine starts, which the battery must supply for this process, it also supplies all of the electronic consumers even when the engine is switched off. You could say that the car battery is the heart of the system for modern vehicles. It is often assisted by an intelligent Battery Management System (BMS), which is, so to speak, the brain of the car’s electronics. The reason why the start-stop system does not function can be due to the interaction between both of these essential systems. The wrong battery technology has been installed, which can only provide a small number of charging cycles. The outside temperature is too high or too low. If the battery needs too much power to supply the fan, the start-stop function is switched off. When, and whether this happens, depends on the comfort settings by the particular car manufacturer. It may also be the case that the start-stop function is still supported, but the air conditioning system is automatically reduced. The engine temperature is too high or too low. If the engine is not heated by consumers or by the battery, it must generate its own heat by combustion, which requires a higher starting current. The result: The start-stop function is not activated. If the engine threatens to become too hot, it has to be cooled by the fan on the radiator, because the airstream is not sufficient or does not exist when stopped at traffic lights. The fan requires a large current, so that the start-stop function is not activated. A further cause could be that when it was replaced, the battery was not correctly registered by the vehicle. For example, if the technology or battery capacity are not entered correctly, the BMS cannot use the correct algorithm. If the battery is not even registered as new by the vehicle, it could be the case that the battery is not detected as new and therefore its full potential is not used. You can find out more about this topic in our article about the risks of replacing a start-stop battery with a conventional battery. The car doors or the hood are not properly closed. 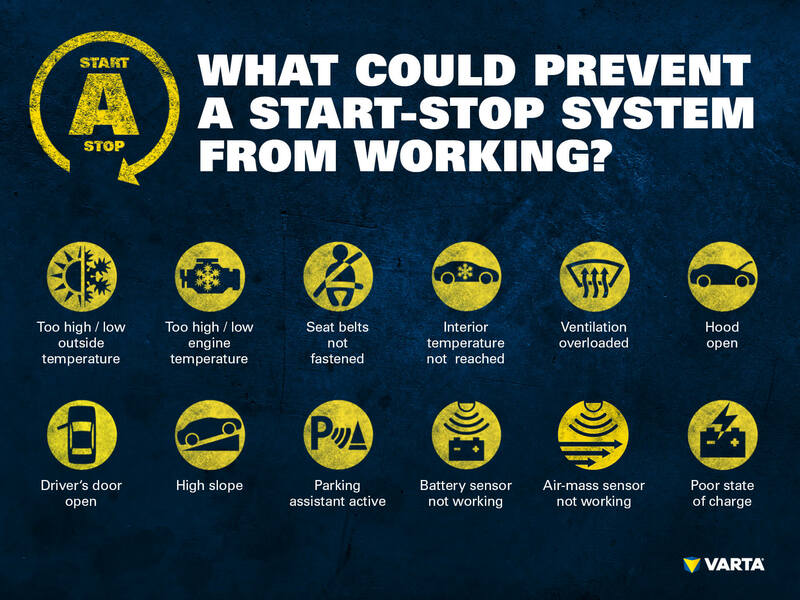 If the start-stop function fails very often, or does not activate at all, it is advisable to visit a workshop as soon as possible. In this case, with a free battery test, the experts can find out whether the battery needs to be replaced. Care is essential when charging a car battery. This is how to safely charge the battery. Testing of a conventional starter battery can be carried out more quickly than a check of an AGM battery. It is not easy to select the right car battery. Which battery belongs in which vehicle? 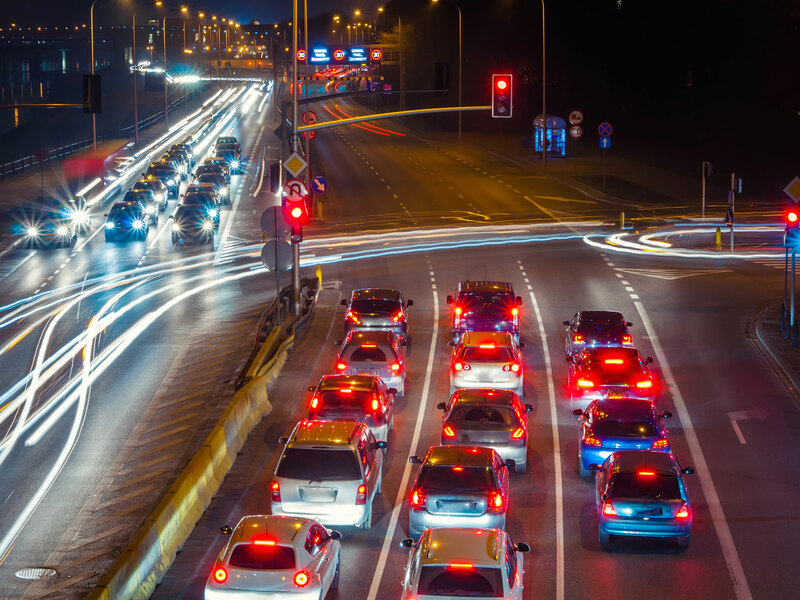 Which batteries can be used in vehicles with automatic start-stop systems? Differences between EFB and AGM technology. Care is required when replacing the starter battery. Replacement of batteries - step-by-step.